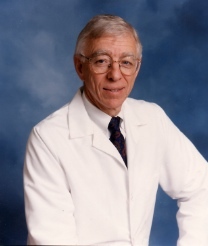 Fred A. Baughman Jr, MD, a neurologist in private practice for 35 years. He differentiates diagnoses of “disease” (real diseases — epilepsy, brain tumor, multiple sclerosis, etc.) from “no disease” diagnoses (emotional, psychological, psychiatric). He has discovered and described real, bona fide diseases. 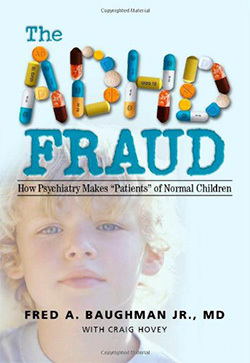 Dr. Baughman has written scientific articles scientific articles that have appeared in leading national and international medical journals; he has testified for victimized parents and children in ADHD/Ritalin legal cases; he writes for the print media and appears on talk radio shows, always making the point that ADHD is fraudulent — a creation of the psychiatric-pharmaceutical cartel. Without a diagnosis they would have no justification to prescribe their dangerous, addictive, Schedule II, stimulants — namely, Ritalin (methylphenindate), Dexedrine (dextro-amphetamine), Adderall (mixed dextro- and levo-amphetamine) and, Gradumet, and Desoxyn (both of which are methamphetamine, “speed,” “ice”). Let there be no mistake about it. Present-day psychiatry, led by the National Institute of Mental Health in league with the American Psychiatric Association and the American Academy of Child Adolescent Psychiatry, represents ADHD . . . to be a biologic abnormality of the brain, a so-called neurobiologic disorder. Their representation to the entire public and to all the teachers and all mental health professionals is that, having ticked off six or more of these nine behaviors, one has diagnosed an organic or a physical abnormality of the brain. Their neurobiologic propaganda has been so intense for so many years, that the country believes in this. This is the characterization of ADHD that virtually all physicians give to potential patients or parents of patients. This is the characterization that educators give to parents of students in schools. Conservatively . . . 6 million children in the United States are on medications for ADHD and a total of 9 million with neurobiologic psychiatric diagnoses of one sort or another, are on one or more psychotropic drugs . . . this is a catastrophe. These are all normal children. Psychiatry has never validated ADHD as a biologic entity, so their fraud and their misrepresentation is in saying to the parents of the patients in the office, saying to the public of the United States, that this and every other psychiatric diagnosis is, in fact, a brain disease. Psychiatry and the pharmaceutical industry have become financial economic partners. And frankly, part of their economic compensation has been to develop a strategy whereby they claimed, without science, that all mental illnesses, all things behavioral and emotional, are physical brain dysfunctions or abnormalities. Representing such things as depression, anxiety, conduct disorder, ADHD, oppositional defiant disorder, and learning disabilities as diseases, absent any scientific proof, is to deceive the public. It preempts the public’s right to informed consent in every single case. Posted by Vera Sharav | Saturday, September 27, 2014 |	Categorized Honor Roll--Exemplary Professionals | Tagged chemical imbalance, Informed Consent, Multiple Sclerosis, ADHD, Adderall, stimulants, Psychiatry, Psychotropic Drugs, Ritalin Bookmark the permalink.